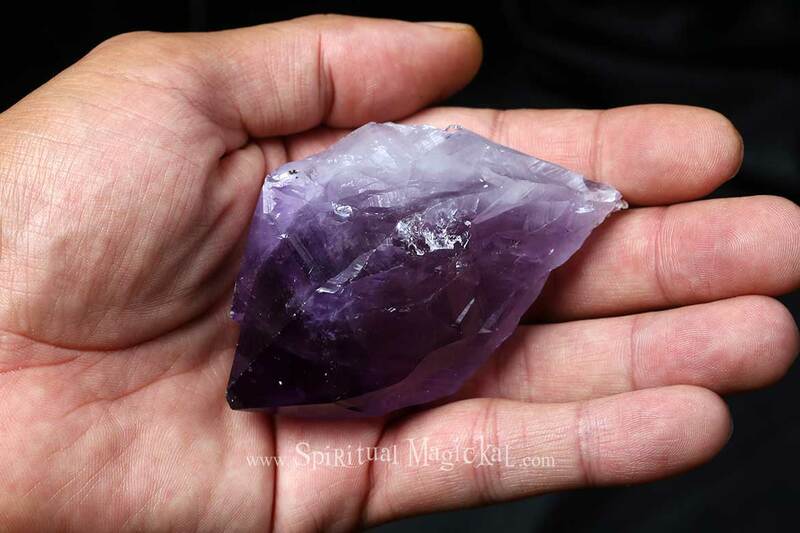 Amethyst Crystal, Raw, Natural, Addictions, Brazil. This particular crystal measures 3-1/2 inches long (8.9cm) and weighs 4.9 ounces (139 grams). Amethyst is a variety of quartz and is considered the stone of sobriety. This powerful stone can help one identify the root causes behind unhealthy behaviors, habits, and emotional patterns. 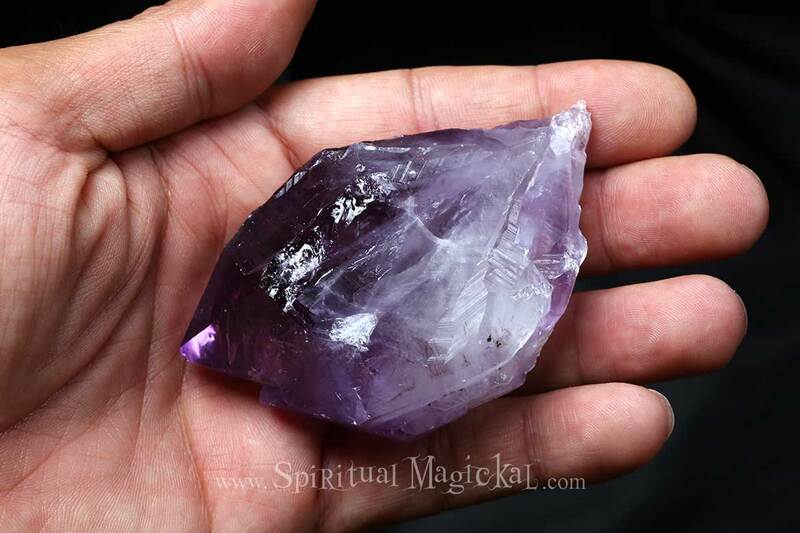 Amethyst also induces vivid dreams and opens the third eye chakra to enhance intuition. They can be used for meditation, your personal alter space, crystal grids, home decor, or to share with a friend! Amethyst crystals and gemstones can also be used for healing, meditation, addictions, pain (physical, emotional, and psychological), protection, purification, opening the 3rd Eye chakra, calmness, sobriety, decision making, recurrent nightmares, geopathic stress, hyperactivity, anger, rage, fear, anxiety, grief, neural transmission, dream work, scrying, divination, intuition, visualization, psychic attack, dispelling illusions, alcoholism, hormone production, endocrine system, metabolism, cleansing and eliminating organs, immune system, blood, headaches and migraines, bruises, injuries, swellings, burns, hearing disorders, lungs, respiratory tract, skin complaints, cellular disorders, digestive tract, regulating flora, removing parasites, insomnia, psychiatric conditions other than paranoia or schizophrenia.